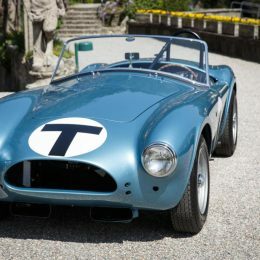 A Shelby Cobra Mk1 with big screen history and a wild, twin-turbocharged Ferrari supercar are destined to wow the judges at the Chubb Concours d’Elégance at Blenheim Palace on Thursday 30th August. The former, the fifth Cobra ever made, has a fantastic backstory. The car’s first owner traded it back to Shelby American in August 1963 for a different Cobra, and the 260cu in, Ford V8-engined roadster was subsequently repainted prior to its appearance in Don Siegel’s brilliant 1964 revenge thriller, ‘The Killers.’ This celluloid gem starring Lee Marvin, John Cassavetes and Ronald Reagan (in his final acting role before concentrating his energies on politics), saw the Cobra feature prominently in a memorable on-track scene involving Cassavetes and femme fatale, Angie Dickinson. It also appeared in ‘race’ footage which underscored the plot. Once production of the film wrapped up, Universal Studios returned the car to Shelby American with some damage. 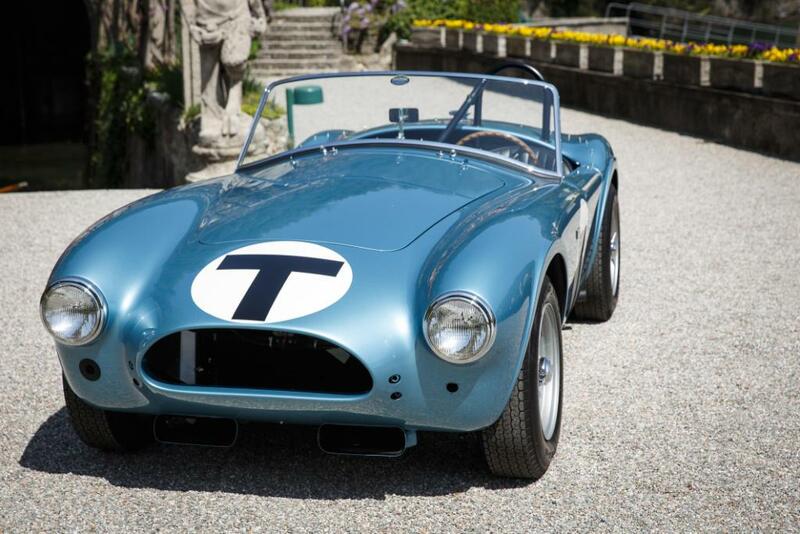 The Cobra was repaired and then employed as the ‘trainer car’ at the Shelby School of High Performance Driving. This Anglo-American hybrid was recently restored by California’s Mike McCluskey who went to extraordinary lengths to return the car to period perfection. Remarkably – and unusually, this fabulous machine still employs its original engine. More extreme still has to be the be-winged Koenig-Ferrari 512BB which is making a rare public appearance at the Chubb Concours d’Elégance. Former publishing magnate and gentleman driver Willy Koenig became notorious during the 1970s and ’80s for his ‘reimagining’ of Ferraris and other exotica, this example being among the more extreme variations on the theme. Based on a 1978 512BB, it received a Koenig makeover in 1982, with fuel-injection replacing carburettors, and not one, but two Rajah turbochargers along with a full racing exhaust system. The conversion wasn’t just mechanical, though. The body was also ‘massaged’ by designer Vittorio Strosek, big changes being the much deeper front spoiler and rear wheel-arch extensions with their signature side strakes which foretold the Ferrari Testarossa. 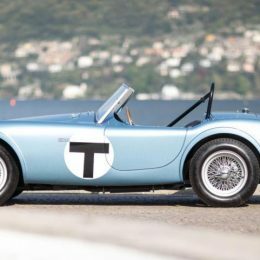 Owned for many years by a Spanish gentleman who kept it in Switzerland as he was unable to legally register it in his homeland, its current owner purchased the car in 2013 and engaged marque specialist Hoyle-Fox to make the car usable in the real world. The Koenig-Ferrari has since appeared in one of the world’s leading automotive titles and is sure to be among the most photographed cars at the Chubb Chubb Concours d’Elégance which kicks off the action at the four-day Salon Privé extravaganza.